That, surely, is it for Kevin Pietersen’s involvement with England. He’s been overlooked (or whatever is the consolatory phrase for someone who has been thrown out with the rubbish, probably prematurely). Binned. Dumped. Jettisoned. For the better? Well, I don’t think anybody will agree that it’s for England’s short-term good that he has been dropped but, perhaps – just perhaps – this signals the first significant moment of leadership for the new management team. And yes, I can’t believe I just wrote “management team” in the context of cricket, but such is the changing world and all that. I wonder if he and Flower will be sharing a pint. A pint of bitter, no doubt. With the announcement of England’s World Twenty20 squad expected on Thursday, the ECB took the unprecedented step of holding “policy meetings” solely to discuss the eligibility of one player: Pietersen. He spent the day of his sacking giving a class on spin bowling to his Surrey team-mates at The Oval. “Clearly this was a tough decision because Kevin has been such an outstanding player for England as the fact that he is the country’s leading run scorer in international cricket demonstrates,” Downton said. “However everyone was aware that there was a need to begin the long term planning after the Australia tour. Therefore we have decided the time is right to look to the future and start to rebuild not only the team but also team ethic and philosophy. “England cricket owes a debt of gratitude to Kevin who has proved to be one of the most talented and exciting players to ever represent the country and his 13,797 runs are a testimony to his immense skill. This decision brings some clarity now for the future of the England teams and we all wish Kevin the very best in the rest of his career.” The new of England apparently forcibly retiring one of their most experienced players comes less than a week after Andy Flower stepped down as team director and follows the retirement of Graeme Swann during the disastrous Ashes tour. A career that spanned 104 Tests and more than 150 limited-overs appearances over nine years, during which time Pietersen became England’s leading run-scorer in international cricket yet constantly divided opinion, may now be at an end, little more than a year after his successful “reintegration” to the team on the tour of India. At $51m the Sochi Olympics is the most expensive ever. Apple’s revenue for the last quarter exceeded Luxembourg’s annual GDP. Annual! This is bonkers. What the hell is Apple going to do with all that sloshing dosh? Just sitting there making minor, underwhelming improvements to iPhones and iPads? Just read a passionate piece from John Stern on the NFL. Ah – now, no sooner have I finished that sentence than I’m already feeling uncomfortable over its accuracy: is it NFL, or the NFL? See, this is my ignorance and my own shame, made all the more acute given I work for the American sport colossus, ESPN. I really know nothing of any note about American sports and, what’s worse, my indifference towards it has morphed to dislike and dismissiveness. It’s not that I don’t appreciate its skill; what little I know of it has dispelled that particular nugget of ignorance. And it’s certainly not that I wouldn’t enjoy it myself if I spent time getting to know it. No. I think it may actually be a form of anxiety. To be a sport fan, or sports fan as my American employer insists it is spelled, requires dedication to the cause and an unwavering loyalty, but you can only reach that level of commitment once you’ve mastered how it all works. The nuances of its rules, the lingo, the exceptions, history and form – never mind all the teams and players, and associated statistics. And it’s those two things which I’m most fearful of: if I did spend time getting under the skin of an American sport, or any other sport for which I’m not familiar, I worry that I could become almost hyper obsessed with it. The Premier League doesn’t have this. Yet. It happened with cricket, albeit when I was 12, and I’m definitely nowhere near that age now. But it could easily happen again, and John makes a compelling case for NFL to be my victim. Or me to be its, depending on the outcome. It’s also worth pointing out that American sport in the UK is a far, far bigger beast than you think. In 2004 Google says it was indexed at 21 (whatever that is). In 2014? It’s 100. The interest has gone up five fold. I used to work with John when he was editor of The Wisden Cricketer magazine, and remember being starstruck when introduced to him on my first day working for Cricinfo (whose office we all shared) in 2005. I’d read TWC and its former incarnations since I was 12. He couldn’t have been more diffident or affable, yet here I was expecting a larger-than-life media mogul who also had a vast cricketing knowledge; a combination of Piers Morgan’s bluster and blind confidence, and anyone who appeared on Mastermind in the 1980s (bespectacled, lack of social skills yet absolutely obsessed with their subject). Disappointingly I got neither, just a top bloke, writer and editor. Well well. Didn’t see this coming. 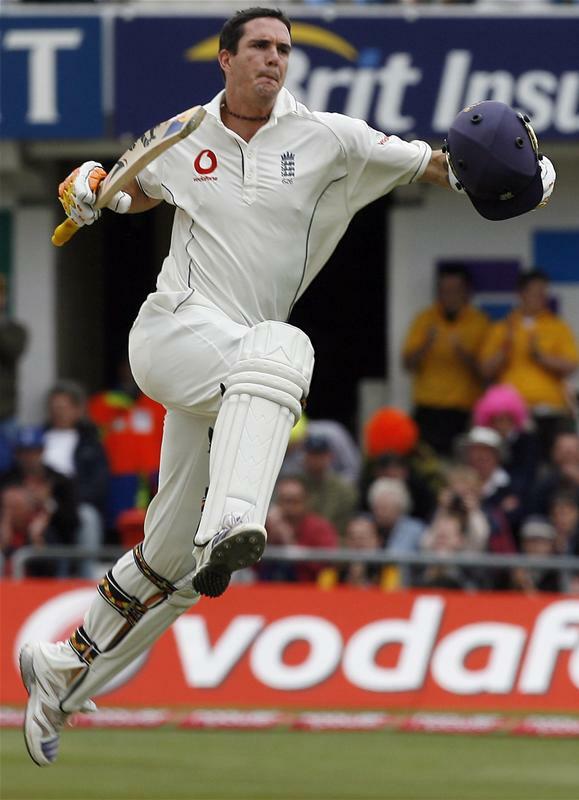 Andy Flower has paid the price for England’s Ashes humiliation and his reign as coach is over. Telegraph Sport can reveal Flower was called into a meeting at Lord’s on Thursday and told his time is up by Paul Downton, the new managing director of England cricket who has been conducting a review of England’s disastrous tour to Australia. It will be announced when England return from Australia that Flower will be stepping down after being given no choice by the ECB but to call it a day. Flower has coached England since 2009 in which time he has won the Ashes three times and led England to their first World Twenty20 title in his first year in charge. England beat Australia 3-0 last summer in the home Ashes but succumbed to a humiliating 5-0 whitewash in the return series Down Under. Has there ever been an England tour so calamitous in terms of results? I hope Flower is remembered for the good he did England, not just this tour. But, as Mike Atherton once said of captaincy, all tenures must inevitably end in some degree of failure, and the same is true of coaching. Nick Hoult has the scoop.